I could write blogs all day long about why I think Uber - especially from an ethical standpoint - is totally and utterly despicable. They make it incredibly easy. At the same time though, I get how that looks. Truth be told, I don't really care for haters either. I normally shy away from competitor bashing and just focus on what makes what we do so great. That's the way it should be! But sometimes, you know how something just gets soooo under your skin you feel you have to open your mouth about it? This is one of those times for me. So what is Uber doing to get me so ticked off right now? I was watching that commercial Uber is using to promote itself as a great place for people to earn a side income. That's the one where the guy drives for a while, stops to eat an apple on a bench, then drives some more. Hey, you know what? In theory, I think that idea is great. And you know Uber looooves to drive home (no pun intended) the idea of how great it is to make your own hours as a huge benefit for it's potential "driver partners"...(who BTW, are just employees disguised as independent contractors for the sake of saving Uber insane amounts of money.. but I won't get started on that). So what's wrong with flexible, "work when you want" hours? The issue starts with this: there's a lot of people driving for Uber that are hard up for money. For many, Uber is NOT just a side gig, it's a full time job that they live and provide off of. And being that there's no safety feature within the Uber app, to say, lock drivers out after they've been driving for extended periods of time, guess what happens? Those "side hustling", apple on bench eating driver partners who are their own bosses (and can drive and earn as long as they like), quickly become drowsy and unfocused drivers. That is a HUGE safety issue and a REAL problem. My question is this: Wouldn't it be reasonable to activate a feature within the Uber Driver app to shut drivers down after they've been at it for extended periods of time? 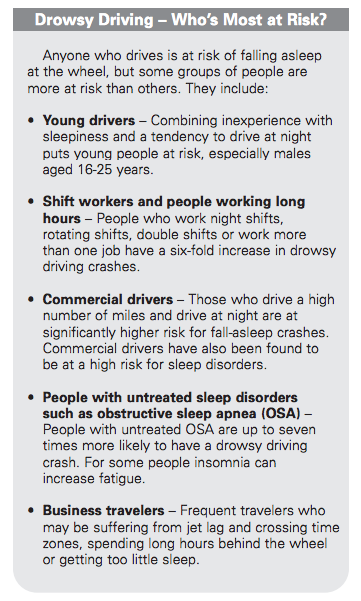 I mean, if someone is driving for 14 hours with only minimal breaks in between, that should be regulated, no? Here's why that won't happen any time soon - In case you haven't noticed, Uber goes to some lengths to entice new drivers to sign up. They have to be hell bent on constantly hiring new people because they lose tons everyday due to that fancy rating system they claim keeps everyone in order (of course, I guess that depends on your definition of "order"). So to maintain the necessary coverage required to meet the incredible demand for rides that the app receives, they need to keep that steady flow of new "driver partners" coming in at a rapid clip. That means the biggest issue for them with enforcing safety measures like this (BTW this also goes for all of the things they skip out on like in person interviews, fingerprinting, etc.) is as follows: if they force their drivers to work shorter hours, not only would many initially quit the platform due to a decrease in ability to earn, the ones that do stay would be forced out of working in times that Uber could potentially need them, causing a massive and sustained lapse in coverage. In turn, that would cost Uber loads of moola. I imagine Uber's rebuttal would probably go something like, "We do care for the safety of our driver partners and our riders". Then, they'd also try to further validate that silly and broken rating system by saying something like, "And that's why our innovative rating system is in place, to help weed out the bad drivers and only keep the good ones." If your driver is falling asleep at the wheel, and you're headed directly into oncoming traffic, giving him a one star rating probably won't do much good at that point.